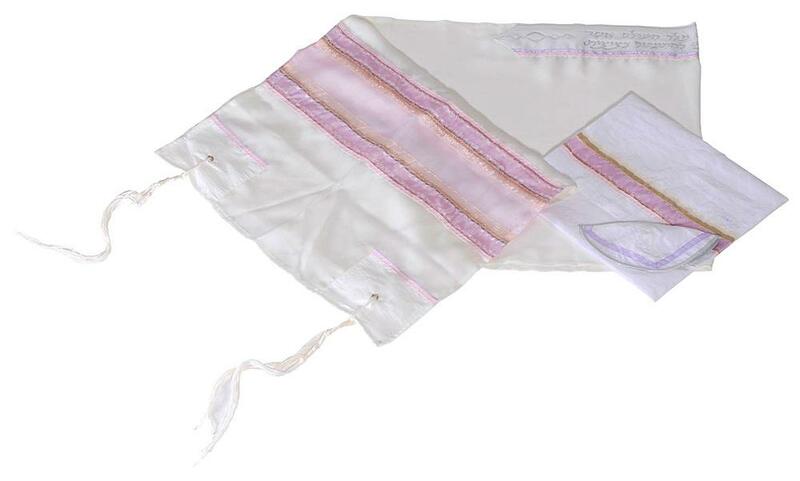 Purple, the color of wealth has been chosen by the skillful Israeli religious clothes designers to adorn this exquisite tallit set available in three different sizes. 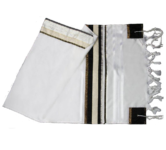 The shawl includes several stripes in different tones, from pink to the color of the good quality wine – an important symbol within the mosaic religion. 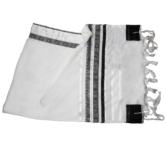 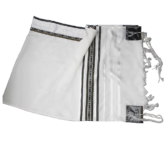 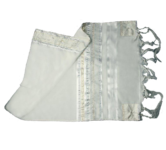 This tallit set is made of silk and it contains a prayer shawl, a white kippa adorned with a simple silver lace and a comfortable bag, bearing the same motifs as the shawl.